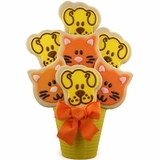 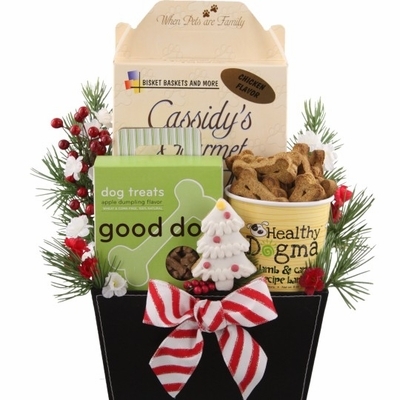 Gift Size 10.5" x 6" x 12.5"
Celebrate this holiday season with your favorite doggies. 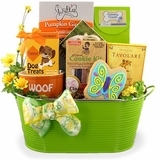 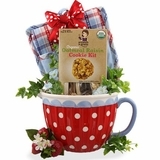 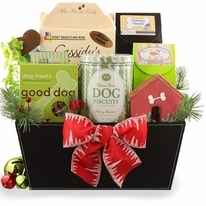 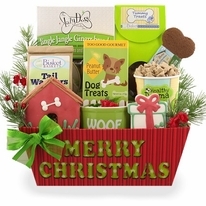 Our Dog Holiday Wishes arrives beautifully wrapped and designed inside an adorable green and red paw print container. 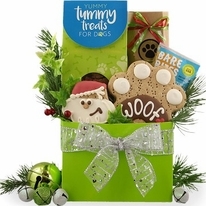 Filled with an assortment of tail waggin' biscuits this doggy holiday gift is sure to bring excitement and fun to Fido's holiday season. 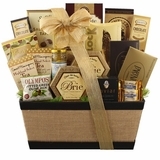 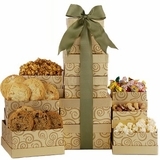 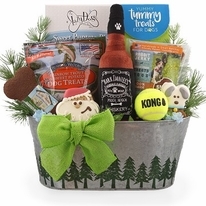 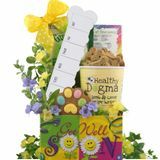 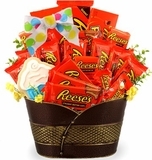 We can ship your doggie gift right to his door and we can guarantee lots of licks coming your way!